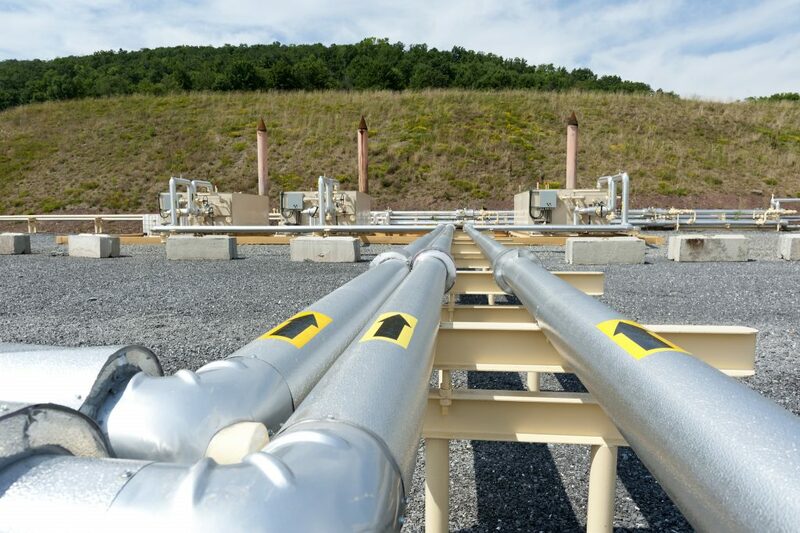 Shale gas pipes in Pennsylvania. “A tanker carrying 70,000 tons of shale-based LNG arrived at a thermal power plant in Joetsu, Niigata Prefecture, run by Chubu Electric Power Co. The gas was loaded in Louisiana on Dec. 7 and transported to Japan via the Panama Canal. This shipment is a major event in U.S.-Japan relations; it is the first U.S. shale gas to reach Japan. Japan saw the North American unconventional gas revolution as an important opportunity to diversify and lower its energy costs when the size and scope of the resource became clear a decade ago. Although the global gas market is currently oversupplied, making U.S. shale gas less cost competitive to Asian markets than anticipated, the sale represents greater long term energy security for the Japanese market through diversification of sources and destination flexibility. For the United States, the first LNG shipment to Japan and the first shipment of crude oil from the lower 48 states signifies that it is well on its way to becoming a net energy exporter. The U.S. Energy Information Agency predicts that the United States could become a net energy exporter in the 2020-2030 timeframe. JERA Co., Inc., a joint venture established in April 2015 by Chubu Electric Power Company and Tokyo Electric Power Company, imported the gas from the Freeport LNG Project in Texas. Chubu and Osaka Gas each acquired a 25 percent share of Freeport LNG Liquefaction in 2014 (Chubu’s share transferred to JERA in July 2016). They also have a pipeline usage agreement with Gulf South Pipeline Company to facilitate procurement.